The liquid phase oxidation of D-Sorbitol has been carried out in water using oxygen as the oxidant in the presence of gold based catalyst. Au/C, Pt/C and Pd/C monometallic systems were compared to bimetallic Au/Pd and Au/Pt on carbon. A strong synergistic effect was observed producing a significant increase of reaction rate. 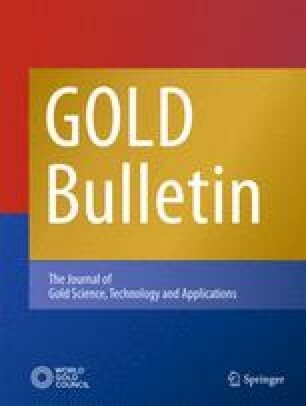 Moreover, the addition of gold to Pd or Pt catalyst produced a system more resistant to oxygen poisoning allowing it to work also under a moderate pressure. The effect of varying the molar ratio of the metals has also been studied. LAURA PRATI is presently an Associate Professor in Inorganic Chemistry at the University of Milan. She is a graduate in Chemistry (1983), received her specialisation in “Tecniche Analitiche per la Chimica Organica Fine” from the Politecnico of Milan in 1985 and was awarded a PhD in Industrial Chemistry in 1988. Her main interest deals with catalytic hydrogenation and oxidation reactions and she was involved in gold catalytic application since 1996. Particular experience she had acquired in the field of preparation of gold on carbon and its use in liquid phase oxidation. Nikolaos Dimitratos works as a Postdoc researcher in the Inorganic chemistry department at the University of Milan for the Auricat project (Catalysis by Gold) funded by E.U. He graduated in chemistry (1998) and he received his PhD from Liverpool University in the field of Heterogeneous catalysis. His research is in the field of liquid and gas phase oxidation.